Behind a tall wooden gate about six blocks from the Zocalo at #38 Guadalupe Victoria is the Museo de Trajes Regionales. 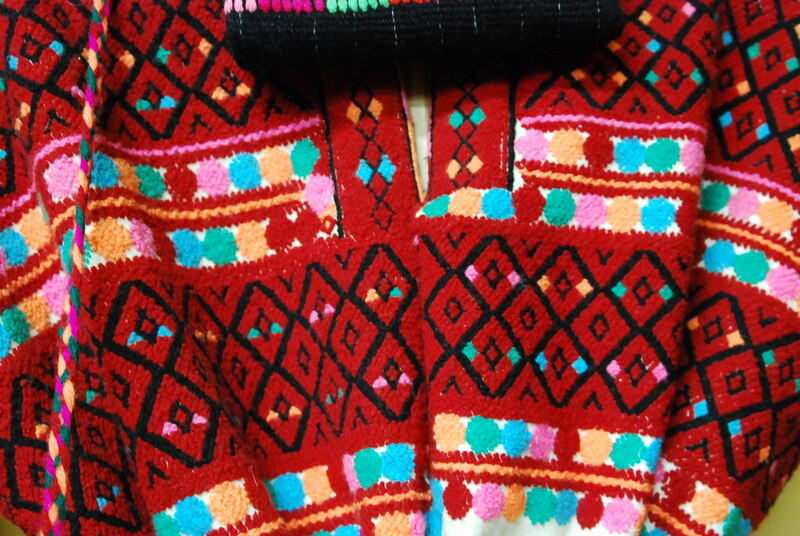 The private collection of traditional indigenous dress is an inspiration of Sergio Castro Martinez, a former Chiapas state senator (2000-2003), engineer and lay healer. Señor Castro gives personal guided visits in French, English, Spanish and Italian. At the same time, he also ministers to those in need of health care at no cost. As textile aficionados, we asked our B&B host Bela if she would contact Sr. Castro and make an appointment for us to visit the museum on the first day of our arrival in San Cristobal de las Casas. Visitors are asked to arrive at 6:00 p.m. As we approached, a woman exited the house with her head covered and accompanied by family members. Sr. Castro provides free care to people who have burn injuries and also for those with diabetes. Several times during our guided visit, he excused himself to help a toddler brought in by his young mother, and then to care for an older man, and then to take urgent phone calls. He has been honored on multiple occasions by international and local civic and governmental groups for his humanitarian works. The museum is a must-see for anyone interested in indigenous history, culture, and regional weaving/textile traditions. 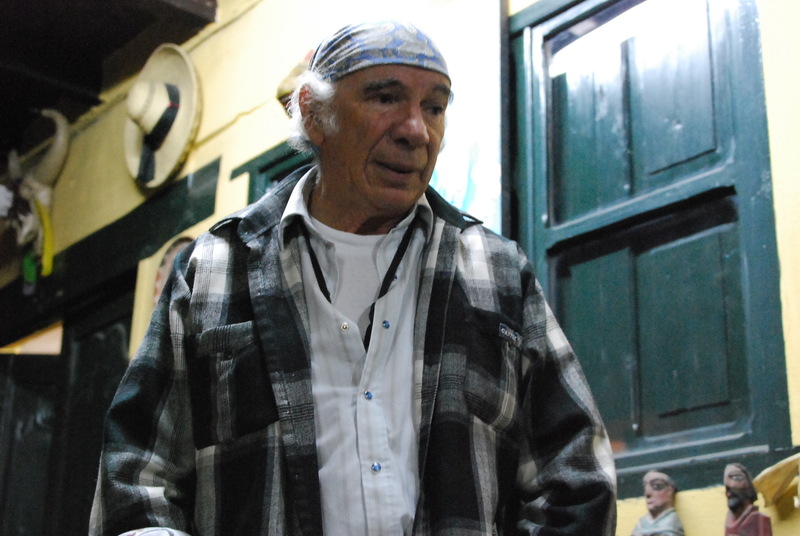 Sr. Castro explains in depth the differences between the tribal groups of the region, their languages, marriage and family customs, political and social systems, and the evolution and change in the costume design and materials used. 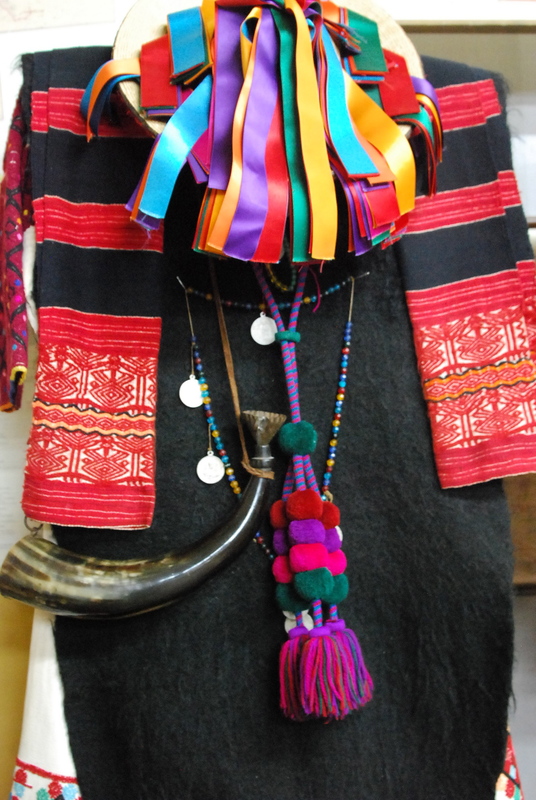 He also, through his museum collection, shows the various special traje (dress) for the leaders of each village, as well as for weddings and other ceremonies. 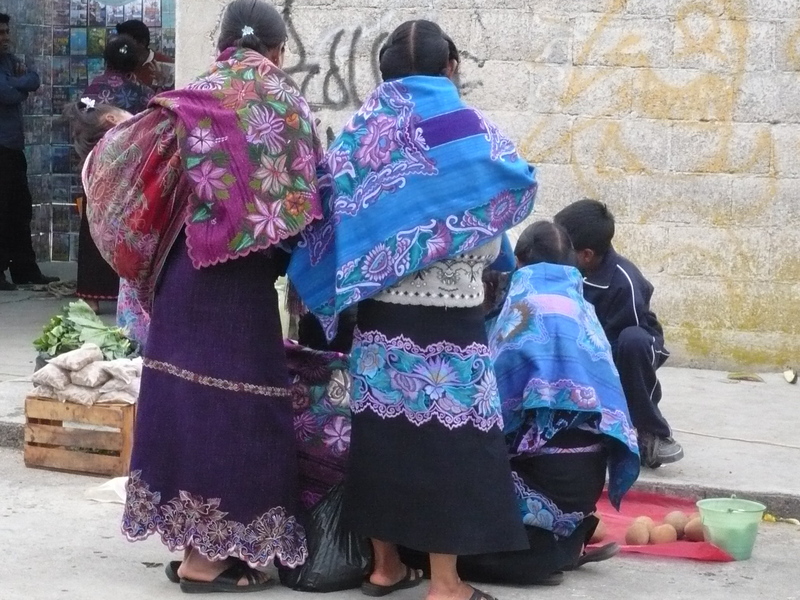 All the traditional dress in this region is created on fabric woven on back -trap looms. This is an important orientation for anyone who wants to go out to explore the more accessible villages. 1. 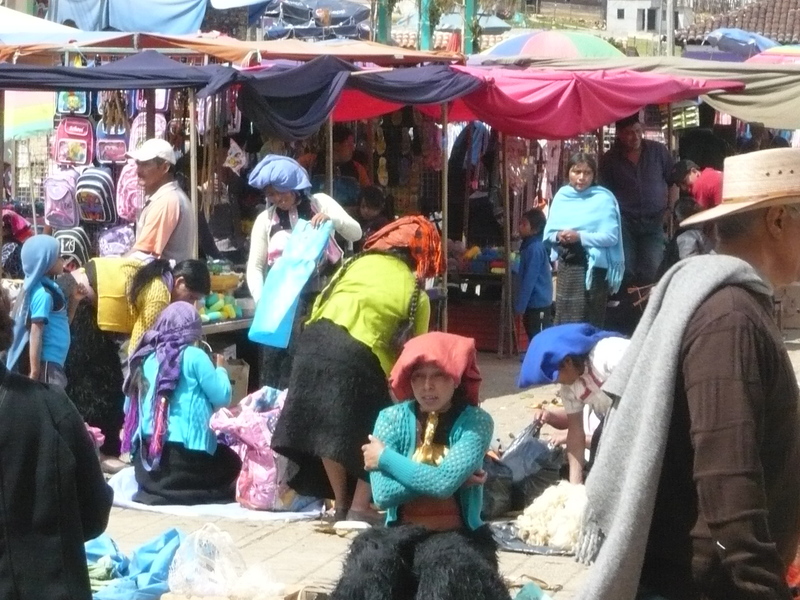 In the pueblo of San Juan Chamula, the traditional cape and skirt is made from black sheep wool that is woven on a back-strap loom. The long fibers are not cut but pulled out so that the garment has a wooly look to it, resembling the coat of the sheep itself. Sheep are family pets, used for their wool and are never eaten. 2. 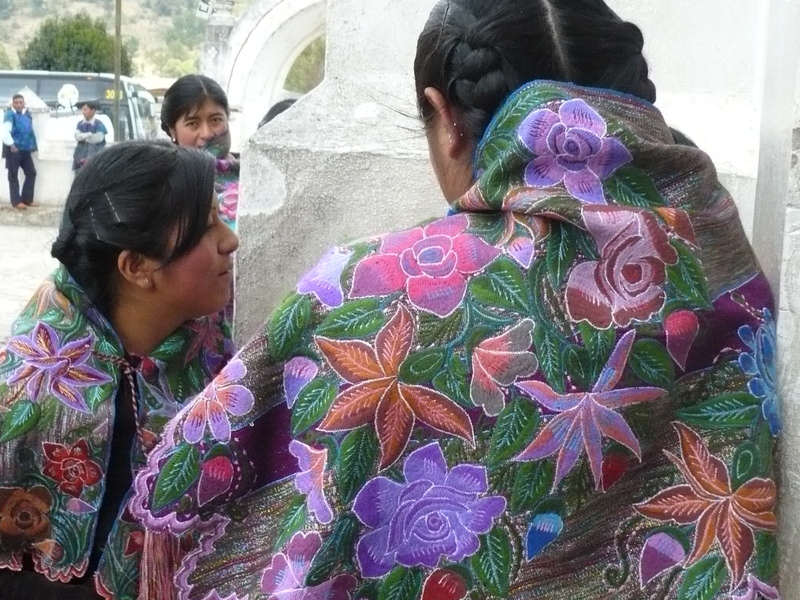 In the pueblo of Zinacantan the traditional color of the women’s chal (shawl) and agua (skirt), and the men’s poncho used to be pink or rose colored until about four years ago when there was a decided shift to the color blue, says Sr. Castro. The community grows flowers (there are greenhouses covering the mountain valley landscape) and this is reflected in the intricately embroidered (mostly by machine, some still by hand) floral and bird patterns on the cloth. 3. 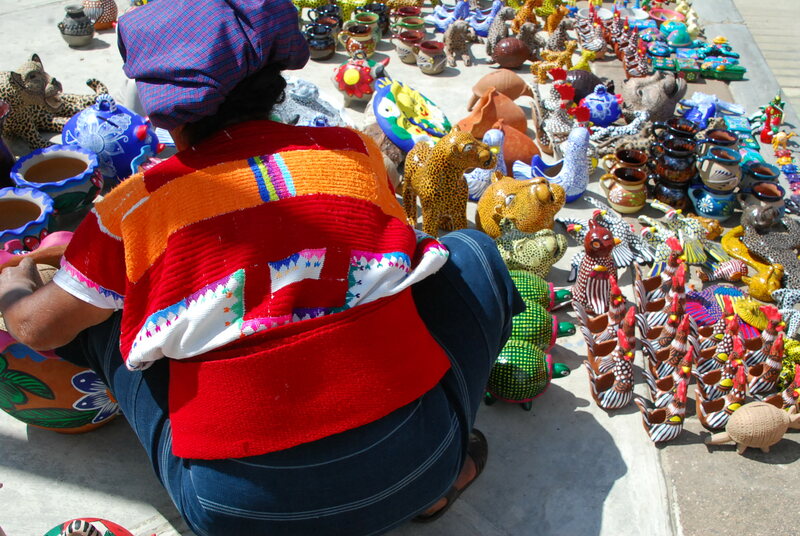 In Amantenango del Valle, the women create clay figures, mostly jaguars, chickens and roosters, but also ollas (jars), bowls, and other functional pieces. The women’s huipile is evolving. 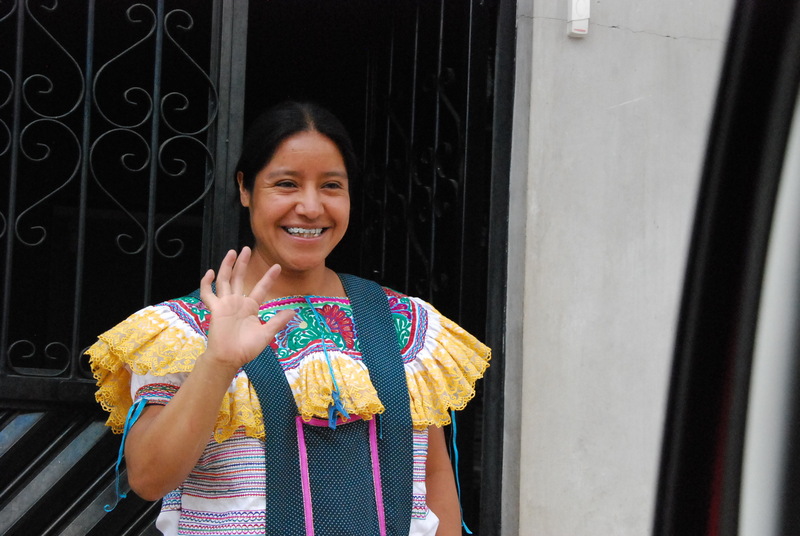 Traditional women wear a very geometric blouse with predominantly gold and red coloration. The newer design coming into vogue is a frilly collar that trims an embroidered bodice, all synthetic, shiny material. The ultimate adornment is a fancy pleated mandil or apron that goes over the top. 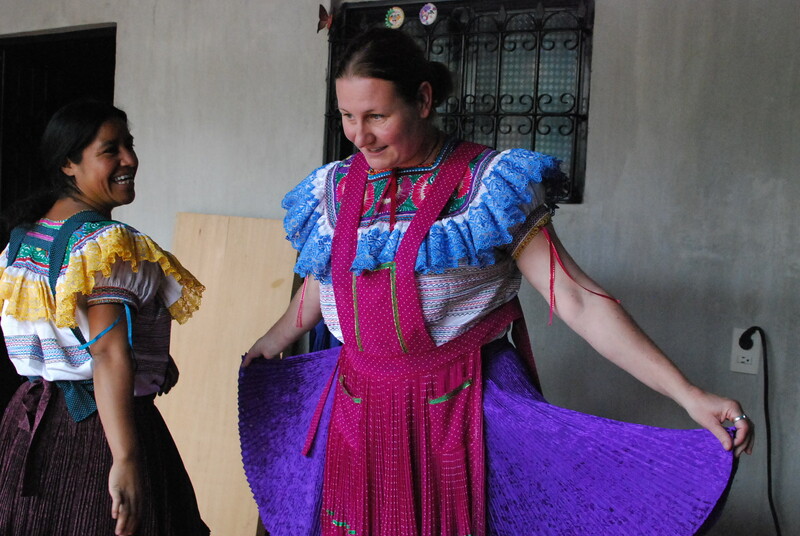 We also see traje from Aguatenango, Oxchul, Ocosingo, the intricate yellow, red and blue brocade diamonds from Las Margaritas, Pantelho, the red and black brocade weavings from San Andres Larrainzar. 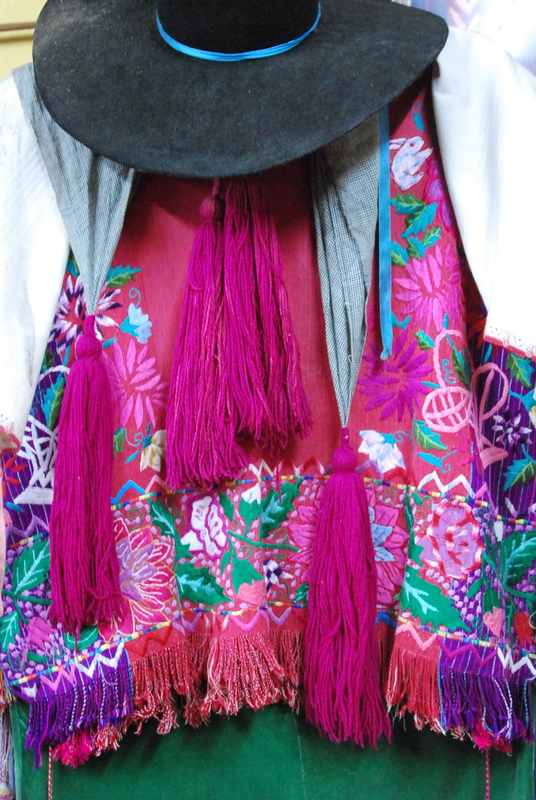 From Mayas Lacandones who live along the Usumacinta River that borders Guatemala, we learn the dress is bark that has been beaten and softened with a stick, then adorned with painted red colors representing the sun, moon and stars. 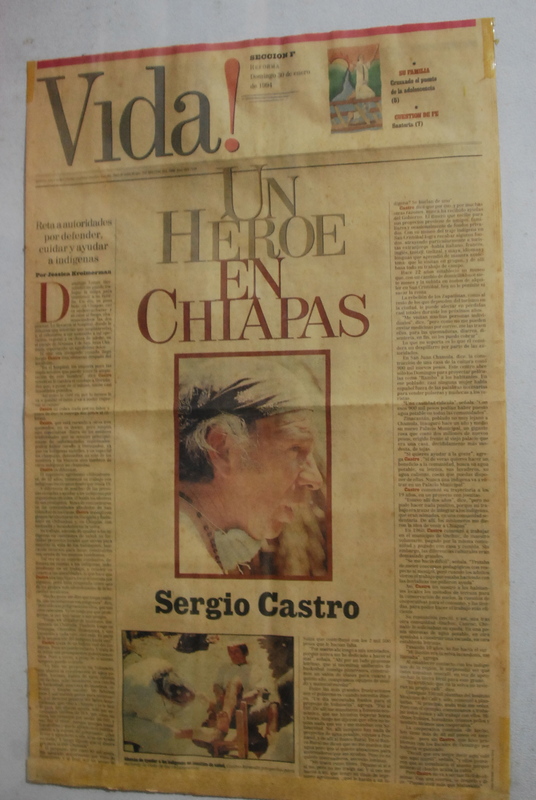 Visitors are asked to give a free-will offering (suggested minimum is 100 pesos per person)) for the explanation/tour that helps support Castro’s work. There is a small room that includes photographs of the severity of burns caused by carelessness, fireworks, and handheld firecrackers associated with ceremonies and rituals. 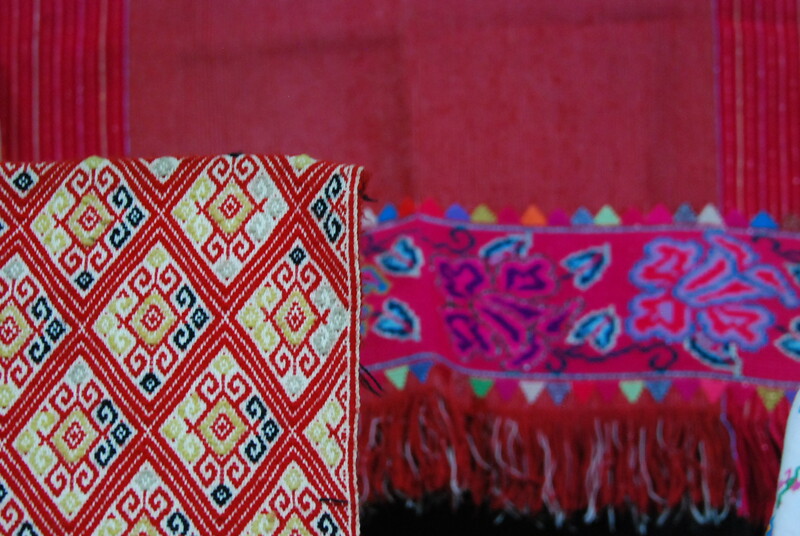 Rapid societal changes are having an impact on the weaving and its quality. There is widespread use of synthetic materials and alteration of styles and designs to suit the tourist market. Handwork is done on store-bought commercial fabric (synthetic polyester or cotton blend). 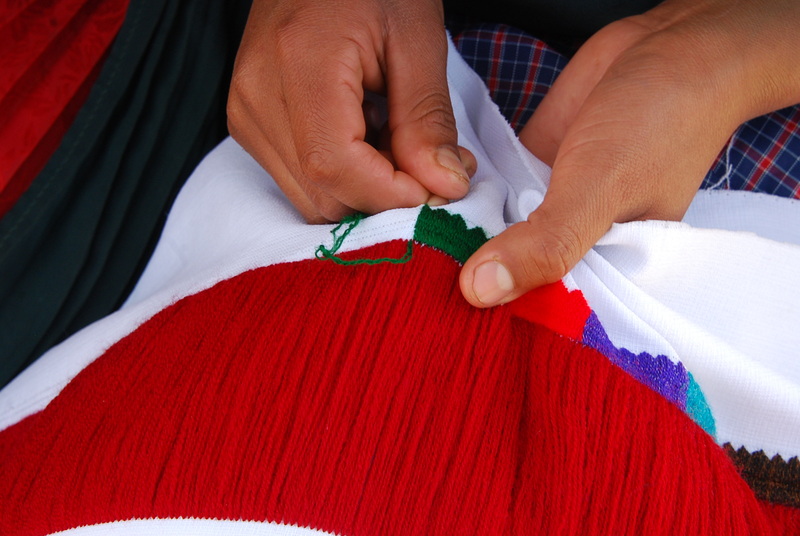 It is no longer easy to find punto de cruz (needlepoint work) or hand embroidery using naturally dyed fibers. This is the poorest state in Mexico. Many migrate in search of jobs. Younger people are shedding traditional dress as they desire to assimilate. Others move from villages to larger cities in search of employment.